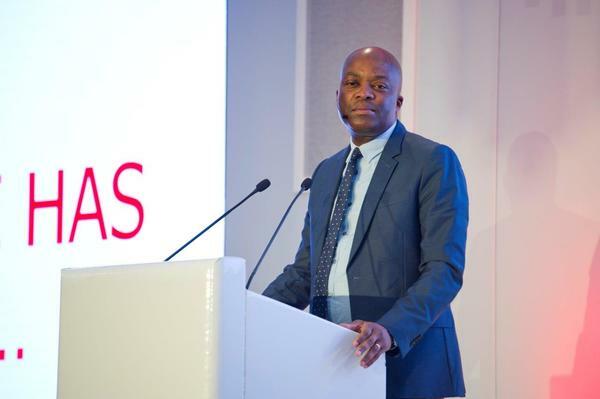 The South African Council of Shopping Centre’s (SACSC) Annual Research Conference celebrated its eighth anniversary recently with more than 270 delegates representing the country’s most respected companies and brands, in attendance. This year’s speakers highlighted many important aspects of the South African Retail and Shopping Centre landscape and also touched on our international counterparts and how that affects the local markets. The future of retail, the South African economy and consumer as well as the evolution of retail in a digital age were some of the key aspects touched on at this year’s conference. Among the 13 speakers on the day, Sesfikile Capital’s Kundayi Munzara joined Political Commentator Justice Malala in a panel discussion unpacking the current state of the South African economy. Both agree that the Rand has strengthened in the last few months following the leadership changes in the country. According to Kundayi, this will increase consumer spend in the next few months which may yield better results than last year. Kundayi further suggested that landlords need to consider re-strategizing in order for tenants to capitalize on the stronger economy. Justice Malala added that he had a positive outlook on consumer spend saying that we need to shop more to strengthen the economy. “Ramaphosa brought about a sense of consumer confidence. I am glad to see growth and for us to continue to grow, my advice is to keep calm and carry on shopping,” he added. Steven Burnstone, Chief Executive Officer and Head of Analytics for Eighty20 Consulting highlighted the importance of loyalty programmes in retail. Steven also added that standing out and being attractive to consumers is not impossible-all it takes is an understanding of your customers and partnering with the right brands. “The way businesses communicate to customers is one of the many areas that need to be focused upon. Businesses need to shift away from traditional, product-focused advertising models and focus on delivering advertising and promotional messages that are customer-focused and tailored to specific individuals. Partnering with the right brands offers customers a sense of added value by providing tangible incentives such as fuel discounts,” he said. Catherine Stevenson, Senior Consultant of Cross Border Retail for Cushman & Wakefield Excellerate shared her thoughts on how retail real estate is affected by the customer journey map. “Pretending that the retail sector isn’t undergoing major disruption won’t help anyone. New experiences, formats and trends, underpinned by advances in technology, are creating new ways for customers to interact with retail. The occupiers and landlords with an informed view – and willingness to adapt – will be the ones who find opportunities in our changing retail environment,” she said. Catherine added that customer journey maps allows you to understand the experience your customers are actually having, which is often very different to the one you think they are having. “Using the mapping process, you can chart your customer’s needs, activities and feelings throughout their relationship with a company; in the context of property management, there are many types of customer and many customer journeys. The process of customer journey mapping enables you to prioritise the most important parts of the customer journey for each kind of customer so that you can focus on improving what matters most and what will have the greatest business impact,” she said. Lemok Group founder Lebogang Mokubela addressed delegates at the 2018 SACSC Research Conference. Lebogang touched on the future of retail in the country. According to Lebogang, the popular narrative is that e-commerce is causing the biggest disruption with regards to the retail market. “This may be true in terms of the global market, however from a township market, the biggest disruption isn’t e-commerce but the shift in power. A majority of the township audience is relatively reluctant to online transactions due to issues around security but most importantly, this market is big on instant gratification - they want to buy something and get it now which e-commerce does not provide as an option,” he said. He further added that the township consumer is more educated and more aware of their buying decisions and therefore the power now lies with them. “In the beginning it was about promotions and tenant mixes, but these days, despite the promotions, consumers do not buy. Obviously, this is because of other influences such as lower disposable income but the main point is that in order to appeal to the township market, shopping centres need to be aware of the less-obvious needs and cater for those. Bringing a cash and carry into your mall isn’t the answer. The point is to build initiatives and spaces that give consumers a real reason to come to your mall,” Lebogang concluded. 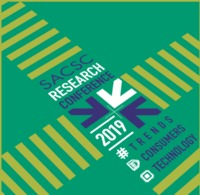 Chief Executive Officer for the SACSC, Amanda Stops, said the SACSC Research Conference had become the industry event that gave attendees an invaluable insight into the year’s perspective on Retail and Shopping Centres. “We started Research Conference in 2011 with the main objective of enhancing and satisfying the need for more information on trends, technology and customer information with regards to retail and shopping centres. We are sure that each delegate who attended the eighth Annual SACSC Research Conference, walked away with important industry insights and information,” she said. The 2018 SACSC Research Conference was sponsored by Cushman & Wakefield Excellerate. Nomzamo Radebe, CEO of JHI Properties, a division of Cushman & Wakefield Excellerate said the conference was yet again an insightful and inspiring industry event. “It is always inspiring to learn from industry leaders and experts, especially when it involves such a fast paced and ever-changing industry such as retail. We are very proud to be sponsors of this event and to share insights and information from experts within our own network too. Once again, the conference delivered much food for thought, with an excellent line-up of speakers and participants. I am excited to be taking this knowledge and sharing it within the Cushman & Wakefield Excellerate environment,” said Nomzamo Radebe.